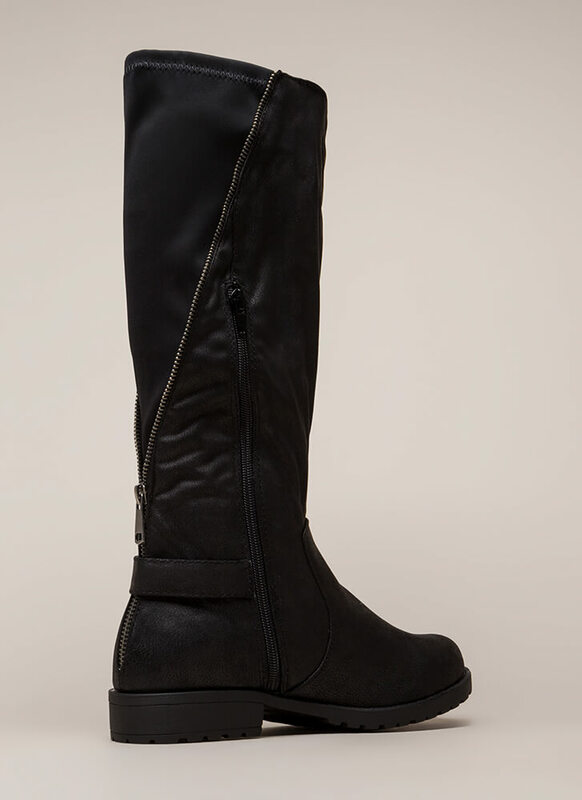 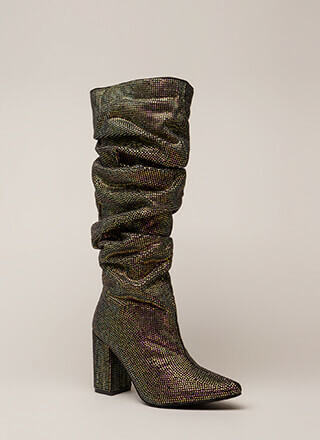 The truth of the matter is you need these boots in your life. 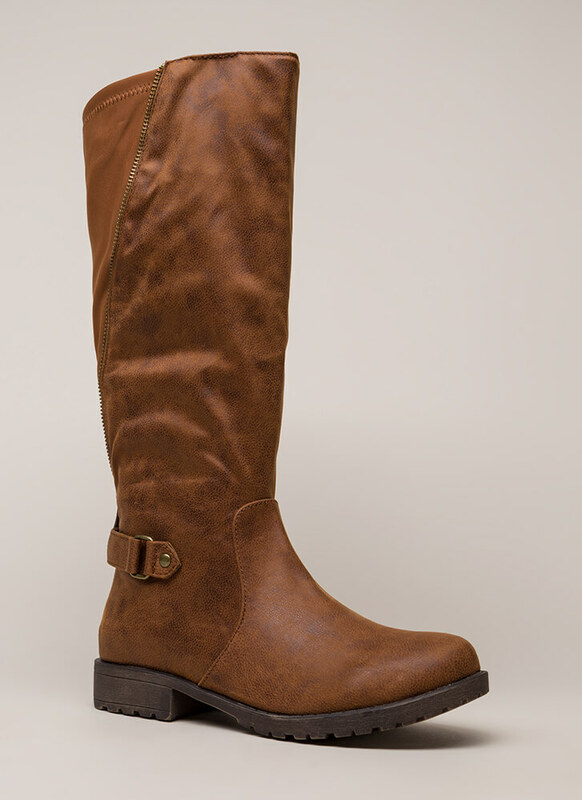 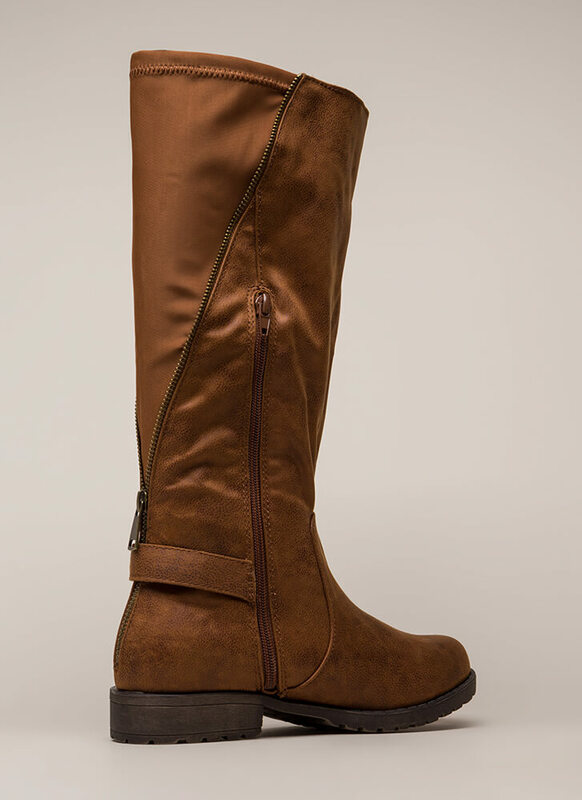 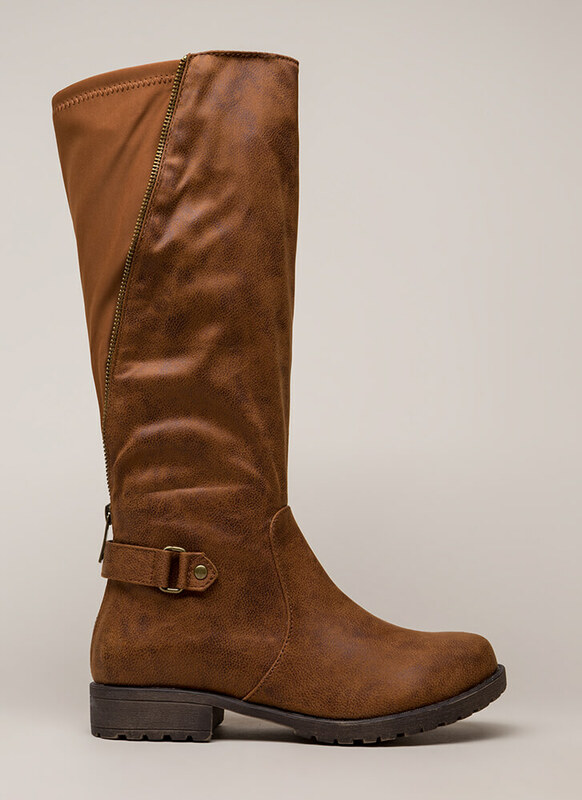 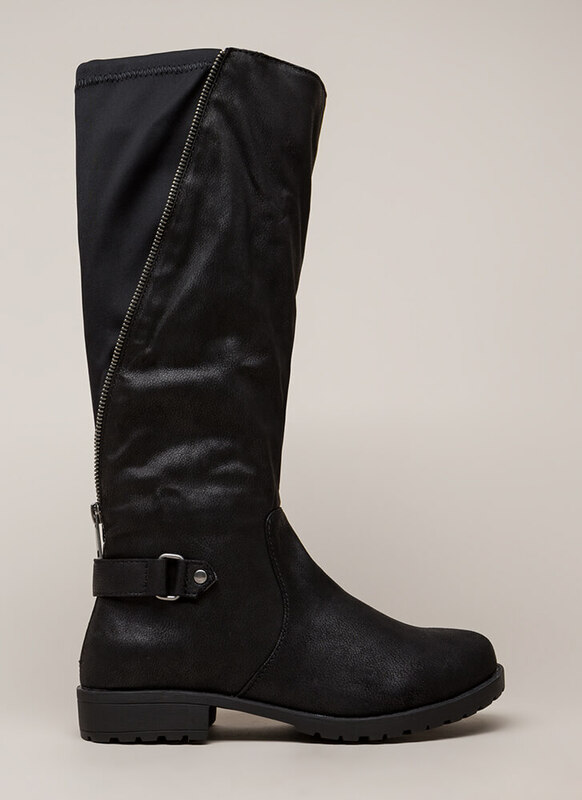 Vegan leather knee-high riding boots feature a rugged lug sole with a block heel, a rear heel strap, and a stretchy fabric panel down the back with zipper tooth detailing on the sides for an unzipped look. 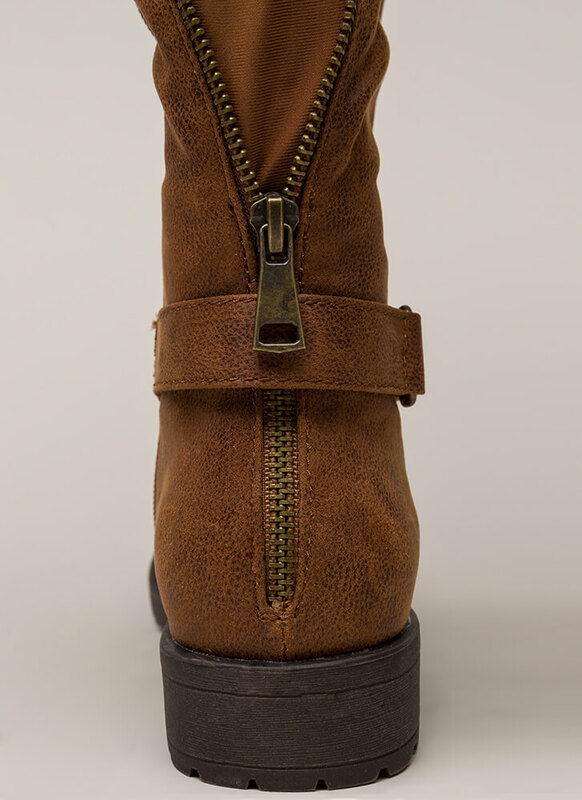 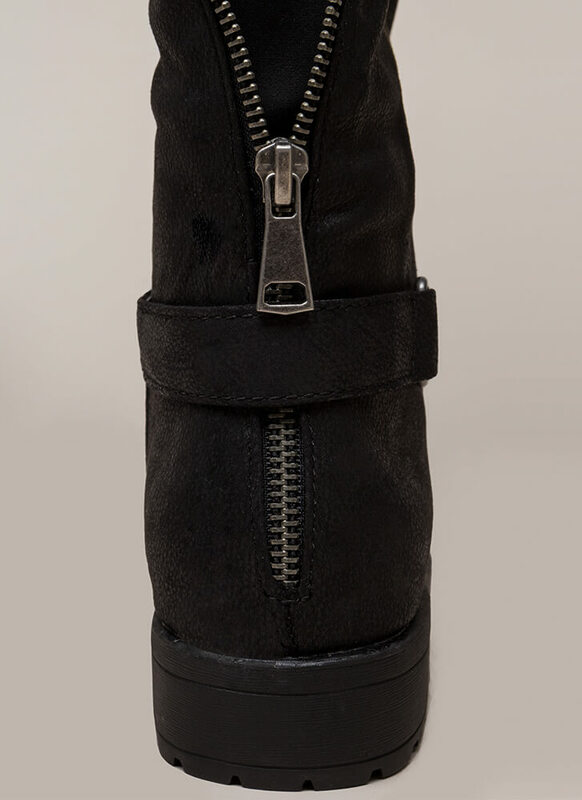 Shoes are finished with a side zipper for easy on and off.